X-Series, Acoustic-electric Folk/Western guitar from Martin & Co.
C.F. Martin & Co announced all non-cutaway X-Series models will now feature Fishman Sonitone electronics as standard equipment at no up charge in addition to all acoustic-electric cutaway X Series models that currently feature onboard Fishman Presys Plus electronics. 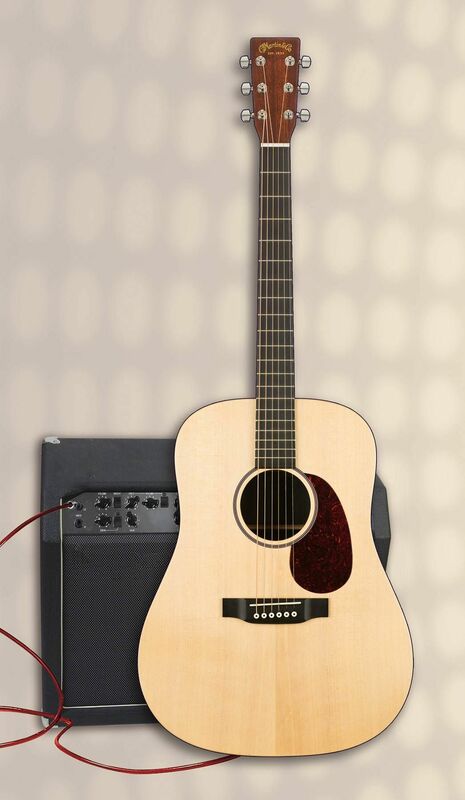 The X Series Guitars feature high pressure laminate (HPL) back and sides with either a solid Sitka spruce or high pressure laminate (HPL) top, patented mortise and tenon neck construction and installed Fishman electronics. All non-cutaway X Series models feature proven Sonicore pick-up technology with the Fishman Sonitone system featuring "easy access" volume and tone controls conveniently and strategically located just inside the sound hole, according to the company. All cutaway X Series models are equipped with the Fishman Presys Plus onboard electronics system with onboard digital chromatic tuner, volume and tone shaping controls and pop-up battery access. All Martin X Series guitars include a Limited Lifetime Warranty that covers all models purchased from an authorized Martin dealer in the U.S and Canada. 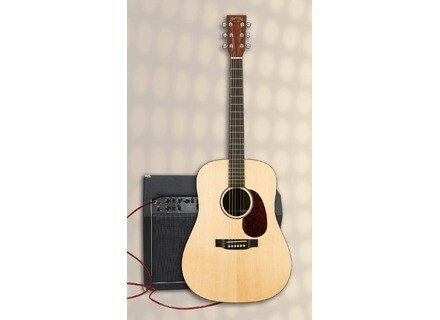 Visit their web site at www.martinguitar.com. [Musikmesse] Nady MGT-16 Nady Systems announced the introduction of their new MGT-16—a UHF wireless system featuring 16 user selectable PLL frequencies. [Musikmesse] Vigier Cavalier Flexretainer Vigier is setting up a new cavalier on all its guitar models featuring non-blocking vibratos. [Musikmesse] Dagmar Custom Guitars Eve Eve is a curvy guitar with Dagmar's signature rounded "keystone" sides and a cutaway designed to allow access to the top fret.